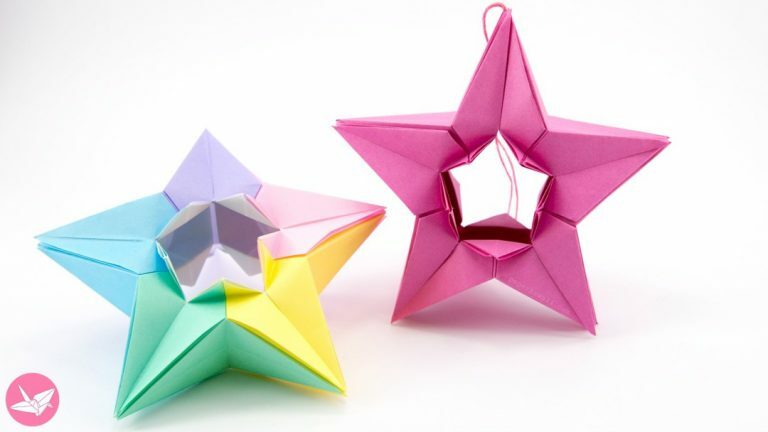 The second list will be about origami Christmas ornaments you can make for your own Christmas tree or to give it as a gift. 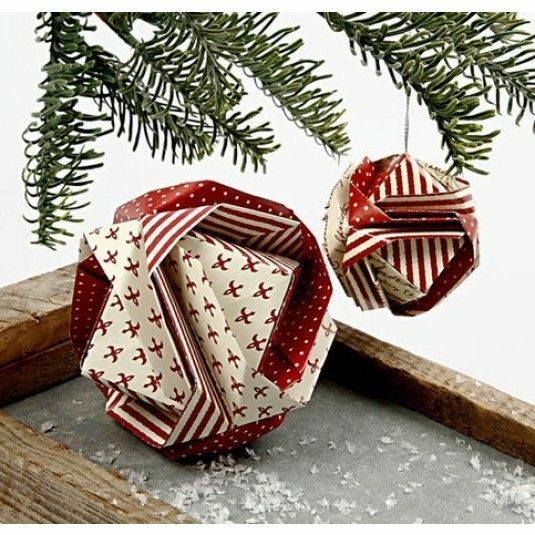 From when I started to fold I always said I will make my own Christmas ornaments, and have a tree decorated only with them. 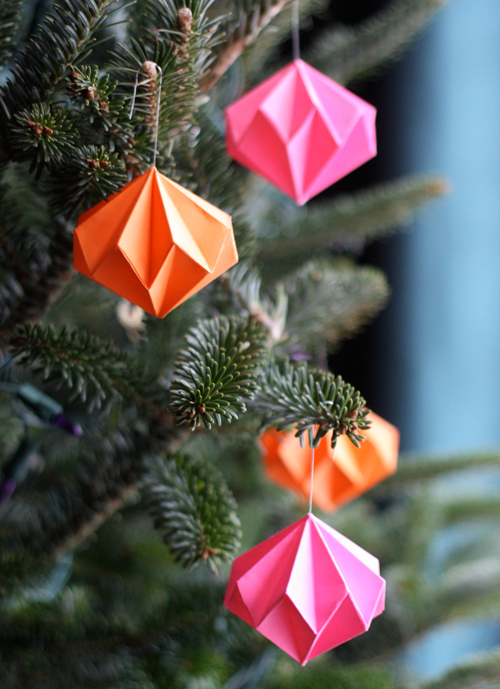 I did made some one year, but never have I ever had only my decorations in the tree. So this is the year I will do that. I will fold the models as well and post them on my Instagram. I just hope I have enough paper. 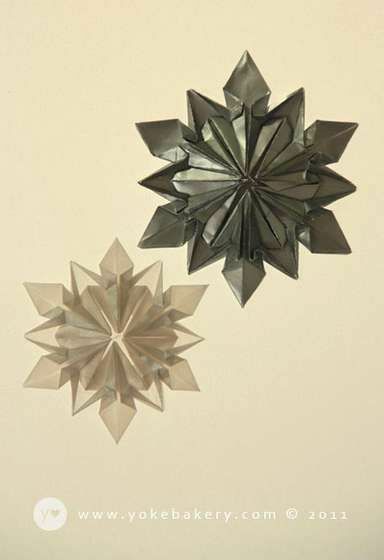 You can see the Origami Christmas Trees list here. And now, let’s start this list. 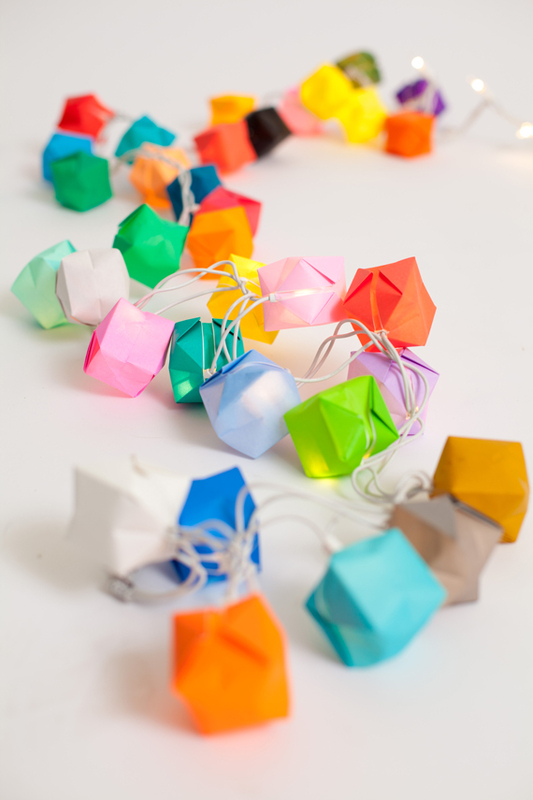 For this model you will need 2 pieces of square paper, some string and needle and if you want some beads. 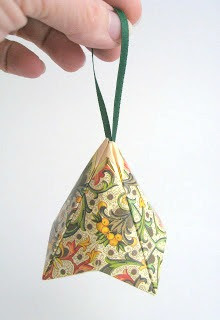 You will need 2 pieces of square paper, some thread and needle, some beads if you want and you will also need some glue. 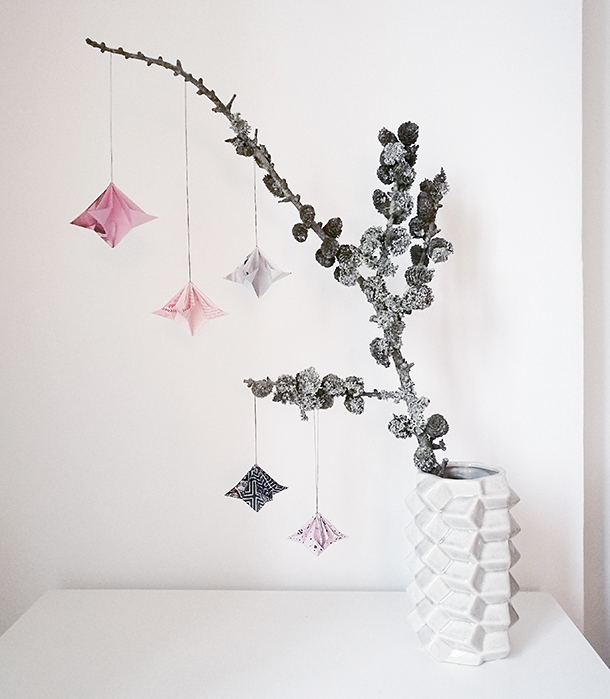 For this model you’ll need: 6 x 7.5 cm or 15 cm origami paper squares, some string and needle. 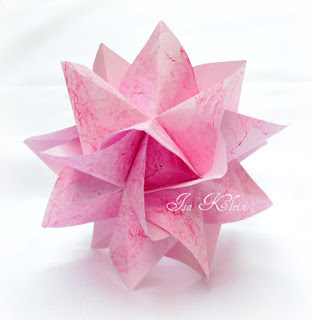 To fold this amazing model, that I’m obsessed with, you will need 6 x 10 cm or 15 cm square paper. Some thread and needle as well if you want to be able to hand it. The paper for this one should have the ratio of 1/3. For ex. half of an A5 paper. 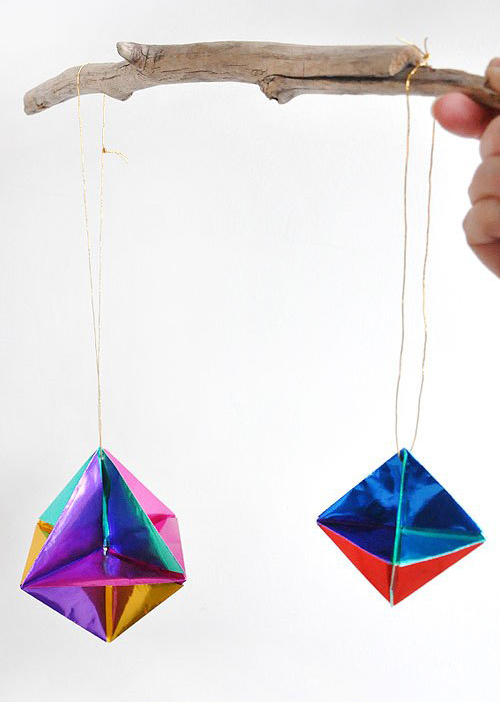 To make this one you will need one piece of square paper, some glue, string and needle. 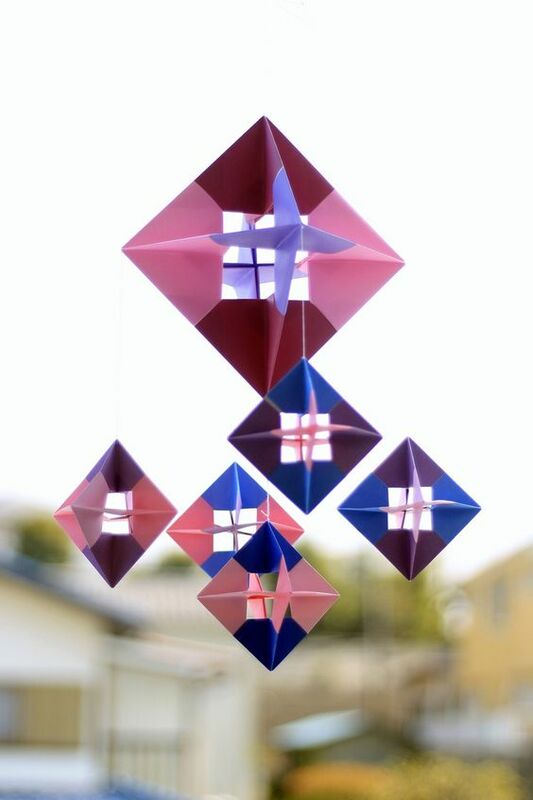 If you want to make it, you will need 6 pieces of square paper, some thread and needle. 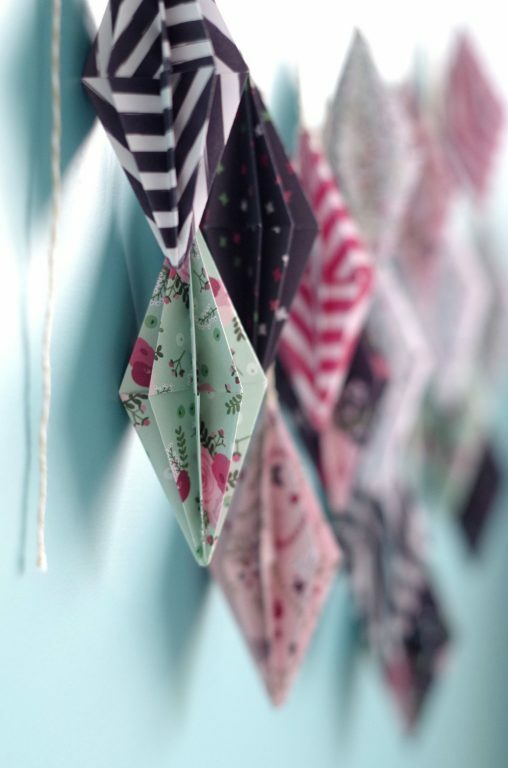 For this one you will need 6 pieces of square paper and the classic thread and needle. 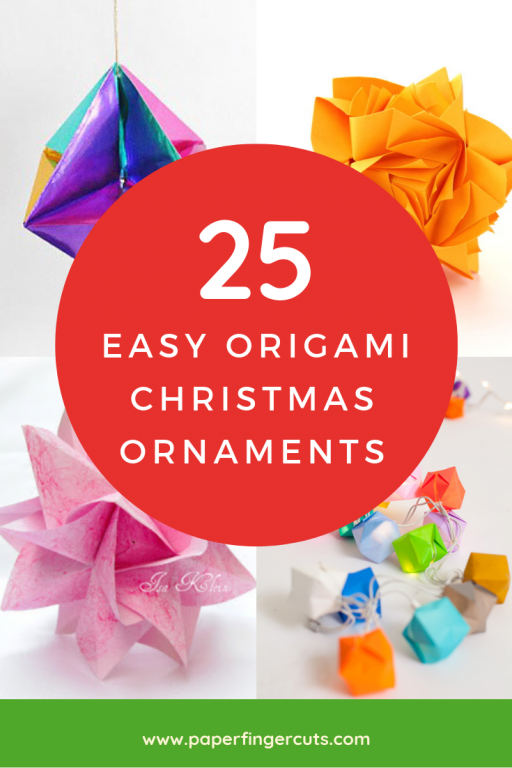 To make it, you will need some square paper and some scissors. 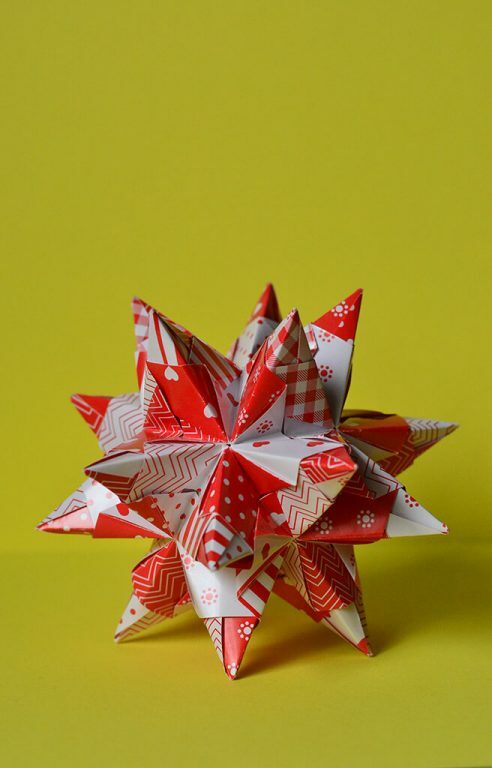 To make one star you will need one strip of paper with a 1:13 ratio. 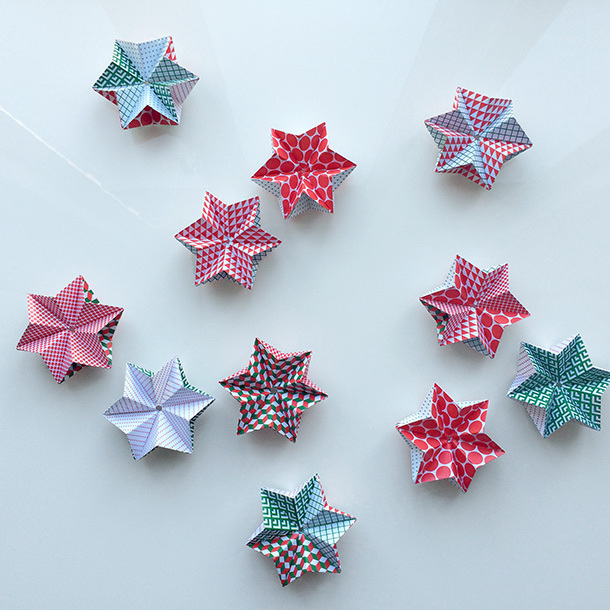 To make the garland you will need as many stars as you like, some thread and needle. 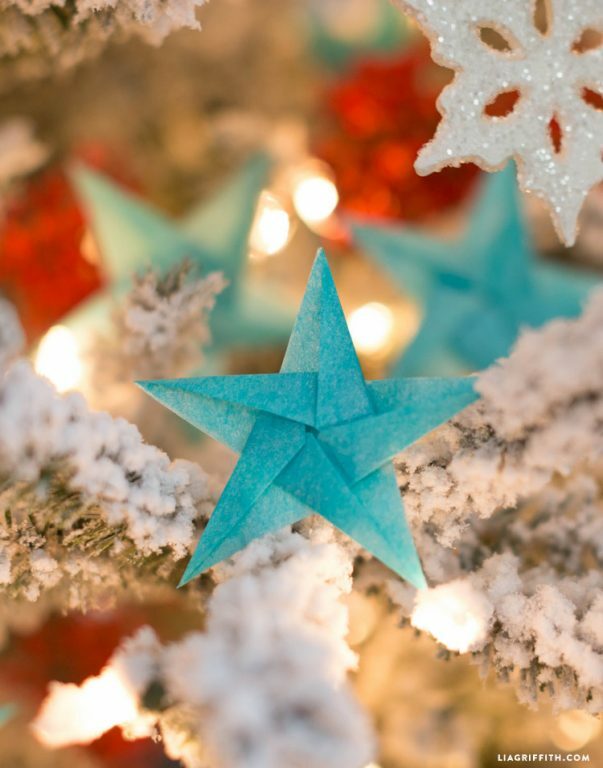 In order to make it, you will need 5 sheets of square paper and some ribbon in order to hang it in your tree. 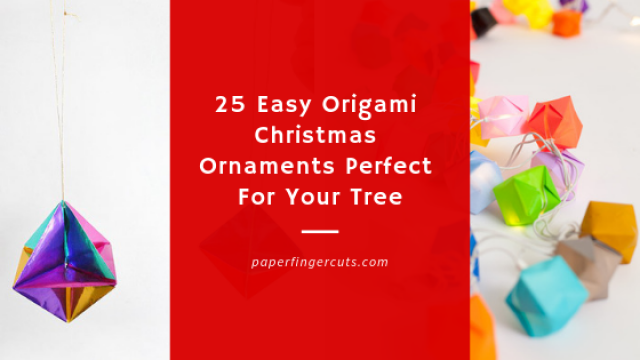 You will need eight square pieces of paper and some ribbon. You can also use some glue, but it should stay as it is. 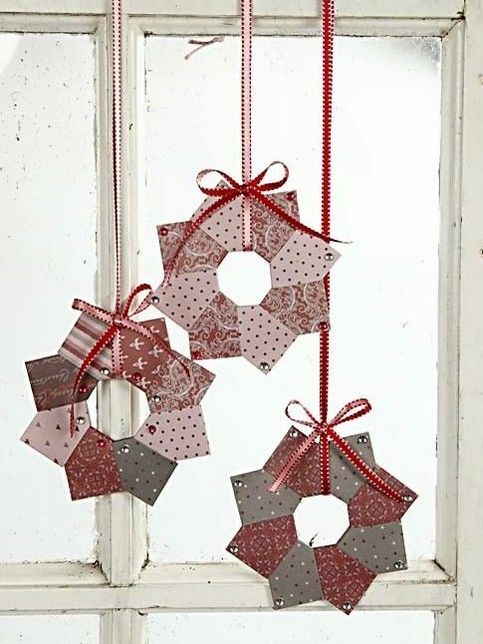 For this particular one you will need 30 pieces of square paper but there are other types of assembly with less or more pieces. 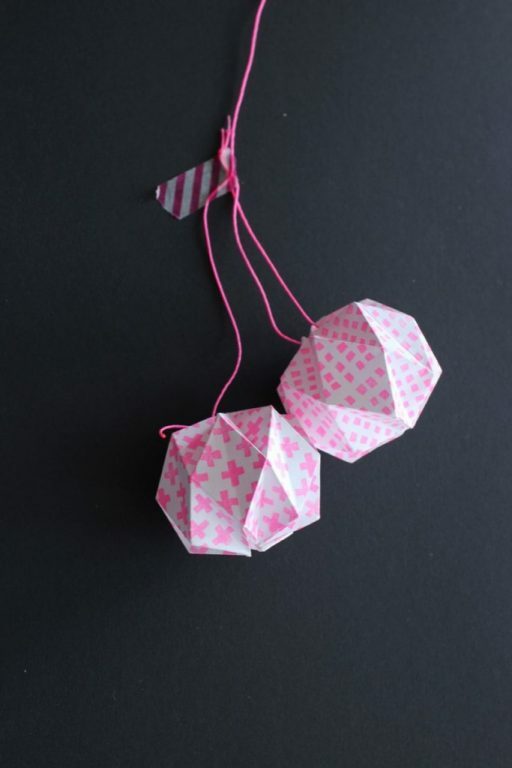 To make this cute candy box ornament you will need 2 pieces of A4 paper or Letter paper. I just love how this model is looking.To make it, you will need 12 units (pieces of paper) that have 3:5 ration (9 cm x 15 cm). 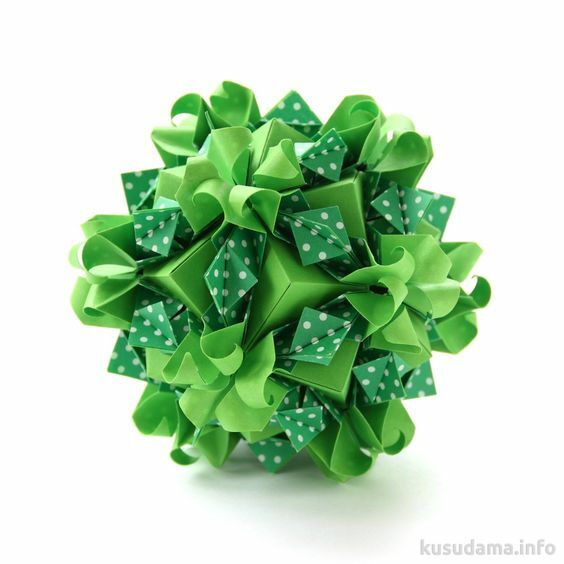 This is another one that I can’t wait to fold it. 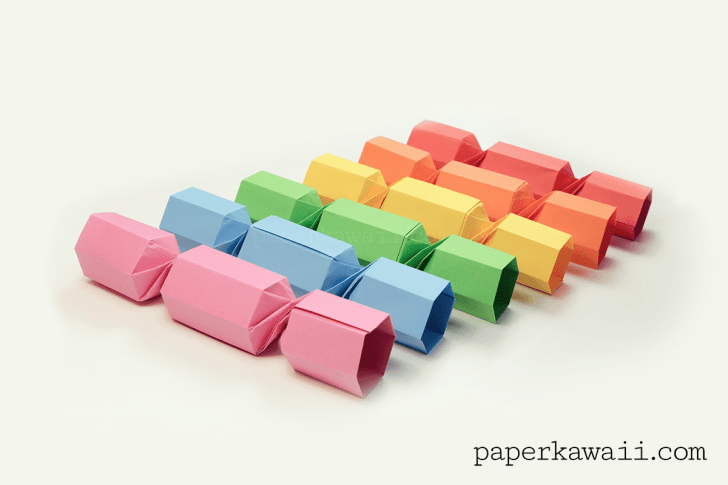 You will need 12 pieces of square paper in order to make it. For the one in the image you will need 30 pieces of square paper but there are other types of assembly with less or more pieces. This one will take some time, as it needs lots of modules. 30+20 (7.5 x 7.5 cm, 5 x 5 cm) to be more precise. But I do think it’s worth the time and effort. This is a complex one. 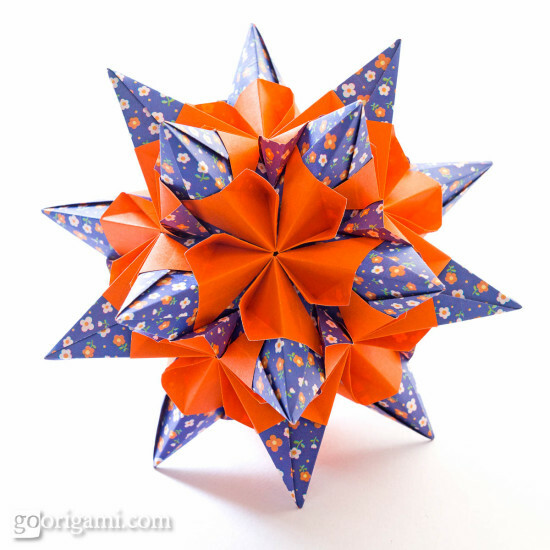 You will need 60 modules, which are folded from paper in the ratio of 3:4 for ex. 7.5 cm x 10 cm. 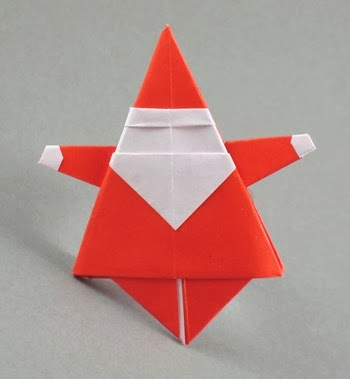 This adorable Santa is made from one square paper. The paper should be double sided. For one box you will need one square piece of paper. 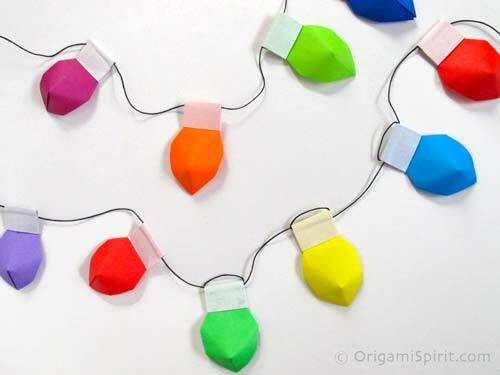 You will also need some simple, slim Christmas lights in order to make the full project. For one single light, you will need a piece of paper at the ration of 1:3. It works best with double sided paper. For one snowflake, you will need one piece of paper. It works best with thin paper, or tissue paper so it will have some transparency between the layers. 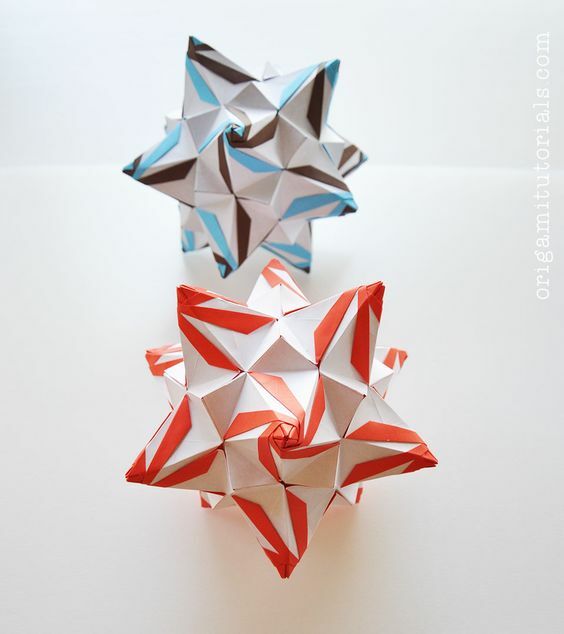 I hope you enjoyed this Origami Christmas Ornaments list and helped you decide what to fold and hang in your tree. I really love all those models and cant wait to fold them myself. 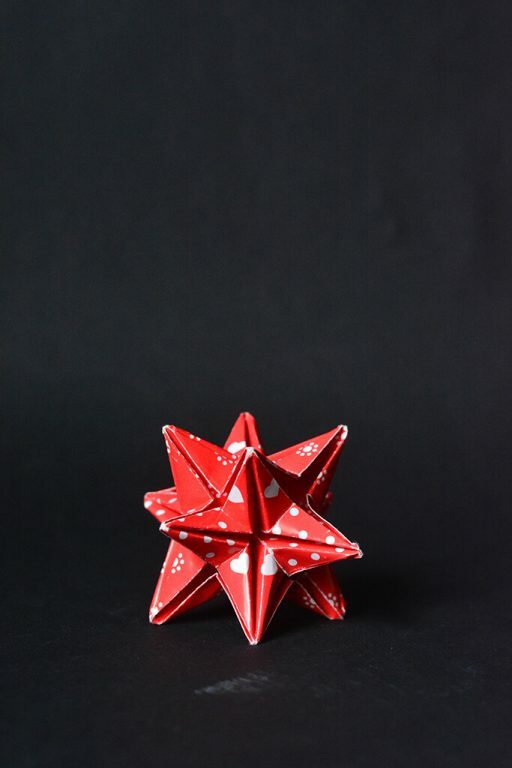 If you decide to fold them and post them on social media, don’t forget to mention the creator if you can. 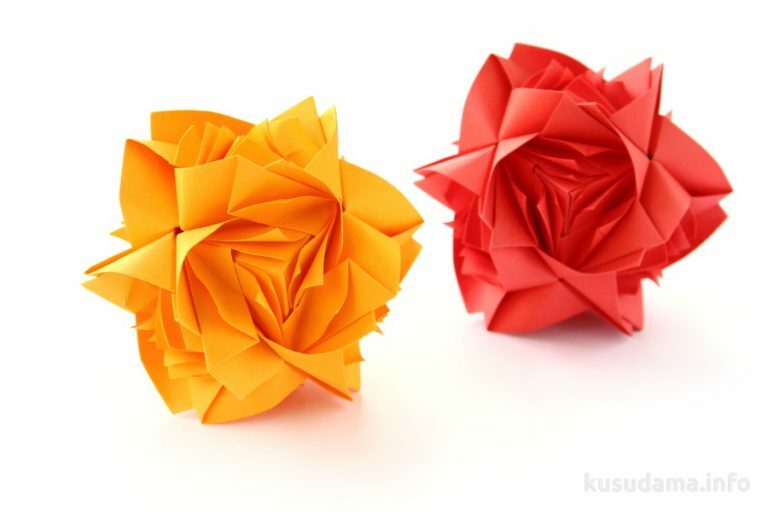 I did my best to find who designed them, not only who folded them. I’m sure the artist would love to see his or her creation folded by you guys.